A hidden gem on a deserted stretch of white-sand beach just 2 hours' drive from The Gambia. 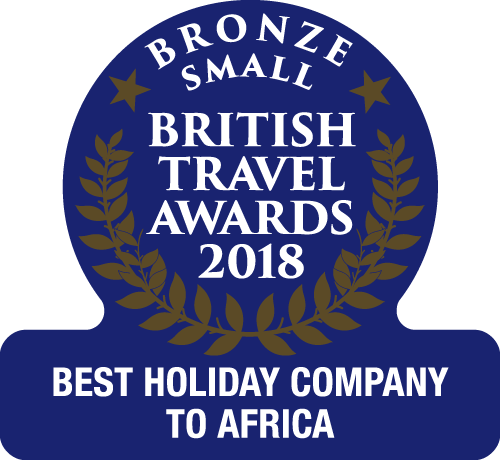 A simple, welcoming lodge in the Casamance region of southern Senegal, perfect for a relaxing add-on to a holiday in The Gambia, and a haven for birdwatchers. "What struck me most was the pure sense of tranquillity here – the sense of total relaxation is hard to resist, and then there’s the beach – wow!" The warm and friendly welcome from English-speaking owner, Eric and his wife. The tidal lagoon alongside the lodge grounds which is a haven for birdlife. A number of local excursions can be arranged on arrival; a knowledge of French would be beneficial when speaking to guides. Access to the amazing beach is via a wooden bridge over the creek; we would not recommend this property for those with walking difficulties. This family-run, intimate lodge is a fantastic hideaway for those looking for total relaxation. It sits in the midst of an ancient palm forest between a coastal lagoon on one side and with direct access to a stunning stretch of beach on the other. This can be reached by a short walk through the gardens and via a wooden bridge across the creek, and stretches as far as the eye can see. A beach bar with sun beds enables you to enjoy the African sunshine without moving too far and, although there is no swimming pool at the property, the ocean is very inviting for a refreshing swim. The lagoon itself fills at high tide and a viewing deck enables you to relax and enjoy the view as well as witness a wide range of bird species so binoculars are recommended. A warm welcome awaits from French (yet English-speaking) owner, Eric, who has made Senegal his home for the last 20 years and treats his guests as friends. Esperanto Lodge was named after the international language which unites people of all nationalities, and effectively represents the feeling here - of community and friendship. His West African wife, Justine, will be your chef and hostess for the duration of your stay. Eight simple bungalows are dotted amongst the extensive tropical gardens, complete with a wide variety of native plants and trees as well as hammocks and relaxation areas. Rooms are simple and decorated in a traditional style, each with mosquito nets and standing fan for additional comfort. A communal bar and covered dining area serves as the focal point of the lodge and an extensive menu ensures that you will have plenty of tasty, freshly prepared French cuisine during your stay, accompanied by a selection of French wines. There is also a pizza oven and weekly pizza evenings are not to be missed. Due to its location, there are no restaurants in the area surrounding the lodge so expect to dine in during your holiday. Ideal for those with a sense of adventure or seeking a new experience and relaxation, Esperanto Lodge is located approximately 3km from the traditional Senegalese fishing village of Kafountine on the West Atlantic coast in Casamance, It enjoys a sense of complete tranquillity, yet with opportunities to witness authentic African life through locally arranged excursions. 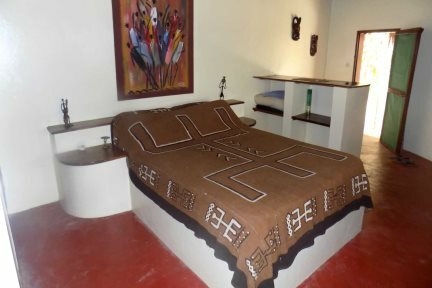 African-style round bungalows with private bathroom. Air-conditioning: No. Electric standing fans available.